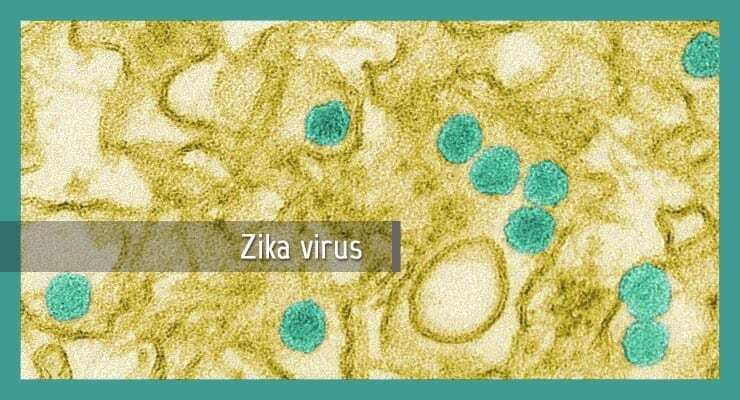 The first new Zika animal model in decades, developed at the University of Texas Medical Branch, Galveston (UTMB), will greatly aid medical countermeasure development for the emerging Zika threat. Several research institutions and companies have vaccine and drug candidates nearly ready to test, but until now a mouse model – a critical stage in preclinical testing – has not been available. The study, published this week in the American Journal of Tropical Medicine and Hygiene (AJTMH), removes a major bottleneck that was delaying treatment screening. Rossi and UTMB colleague Scott Weaver, PhD, a virologist and vector biologist, have been on the forefront of investigations into the meteoric rise in Zika virus infection raging through Central and South America. Weaver, an expert in mosquito-borne viruses in the family that includes Zika, dengue, West Nile and yellow fever, warned as early as 2009 that Zika presented a threat in the Americas. With an epidemic underway, the race is on to rapidly develop new treatments. “Normally, creating a mouse model like this would take us several months, but the urgency of the situation propelled us into this rapid response, and we were able to put together our results in just three weeks,” Rossi said. Using funding from a grant to the World Reference Center for Emerging Viruses and Arboviruses (WRCEVA) at UTMB, Rossi injected several genetically distinct varieties of laboratory mice with Zika virus isolated in Asia in 2010. The current epidemic in South America can be traced to the Asian Zika virus lineage, of which this strain is a member. Normal mice did not develop disease after infection with Zika virus, the research team reported. Only when researchers injected mice that had been genetically altered to have a deficient innate immune response did the animals develop detectible disease. Young mice of these strains are highly susceptible to infection. These mice became lethargic, lost weight and died within six days after infection. Older mice became ill, but did not always develop infection, and they ultimately recovered. The mouse model is available immediately for testing of antivirals, and Weaver said that preliminary testing is already underway with an antiviral developed by another member of the UTMB team, Pei-Yong Shi, PhD, to treat dengue fever. Since so little is known about how Zika virus behaves once inside the body, researchers also searched for evidence of viral infection in the animals’ organs. They found viral particles in most of the major organ systems, with the highest levels found in the spleen, brain and testes. While the results are preliminary, the findings corroborate evidence that the virus can be sexually transmitted. The finding of virus in the brain could also be important, since the most devastating impact of the current outbreak in Brazil appears to be children of infected mothers born with microcephaly – abnormally small heads and, in some cases, incomplete brain development. While the mouse study does not prove a direct connection between Zika infection and microcephaly, Rossi said, it does underscore the urgent need for effective animal models to further study the course of disease and its transmission. The mice described in the current report were developed for testing of drug and vaccine candidates and may not be good models for human transmission, said Weaver. Understanding human transmission will likely require non-human primate models and UTMB is also working on that research, he added, although all of these studies are in the early stages. He emphasized that the bulk of research on Zika virus was published in the 1950s and 1960s. And until media attention surged recently, there had been little interest or research funding available to study Zika virus. Thus, there is limited knowledge about the extent and mechanisms of transmission during the current outbreak in the Americas and even less about how the virus is circulating in Asia. The difficulty in tracking Zika stems from the fact that most people who become infected show no symptoms at all, and those who do become ill have signs and symptoms that overlap with more common viral infections, such as dengue and chikungunya. Further, current serologic tests often can’t distinguish between related flavivirus infections in dengue-endemic regions. Ongoing, long-term funding is necessary to be better prepared for these types of outbreaks, he said. The Aedes aegypti mosquitoes that are believed to spread Zika virus can be found all over the southern United States. With the rainy season approaching in Central America and the Caribbean, Weaver said transmission is likely to pick up, and more travel-related cases may be reported in the United States. The team’s previous research on dengue and other arboviruses enabled them to quickly develop this model for Zika virus. “The lack of research on Zika virus in the decades since it was discovered and the current epidemic reveals our vulnerability to these poorly understood viruses and demonstrates the need for smart and, more importantly, sustained investments to support basic and applied research,” said Stephen Higgs, PhD, the president of the American Society of Tropical Medicine and Hygiene.